Originating from Texas, the poinsettia is the most popular houseplant during Christmas in all the countries where Christmas is celebrated. 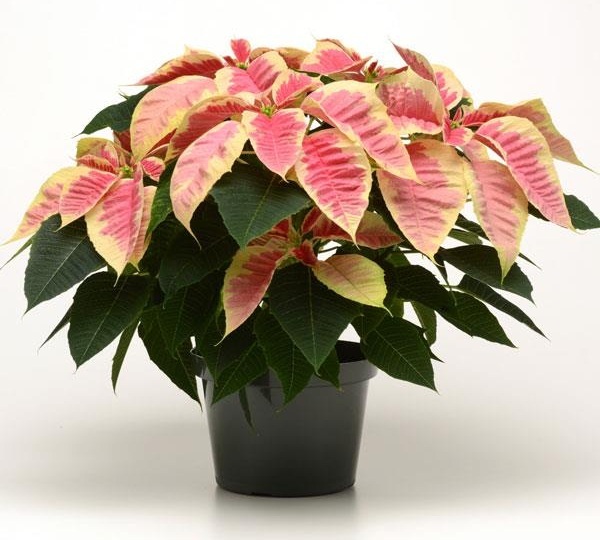 The plant derives its name from the American botanist Joel Poinsett, who introduced it to America. The crimson poinsettia ‘flowers’, now almost symbolic of the holiday season, are actually special leaves or bracts that evolve to resemble flowers, giving the plant its characteristic look. 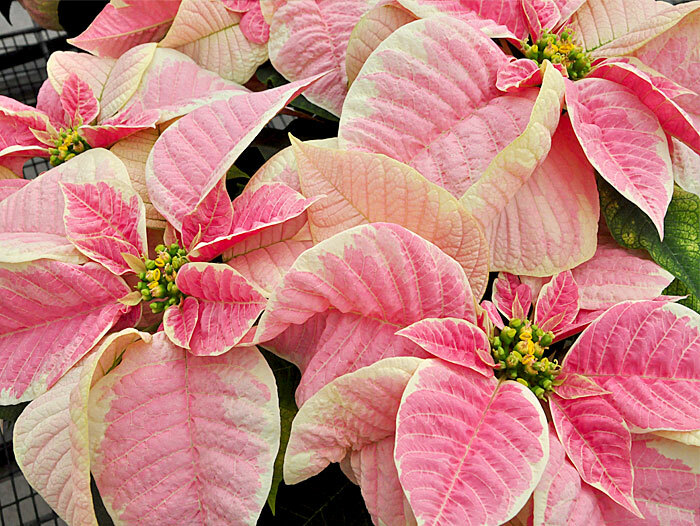 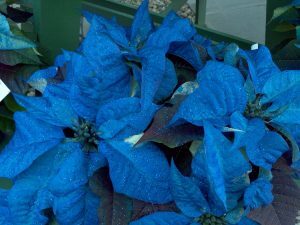 Apart from these, there are some unusual color variations available in the market, including blue and purple poinsettia, that are often achieved with a layer of dye. Plum pudding is considered the first natural variant to produce purple bracts. 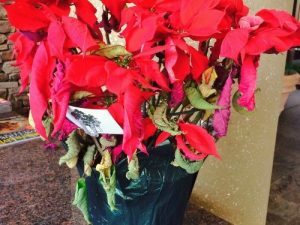 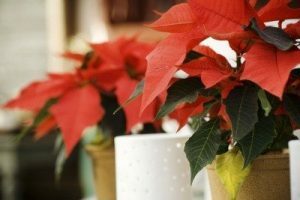 Buying a healthy plant and taking proper care to keep it as striking through the Christmas week may take some work, though it is not as difficult as some people believe. Apart from the plant’s appearance, it is also essential to make sure it has been stored and displayed properly by the seller, as plants stored in plastic sleeves, or those displayed in a crowded manner do not survive for long. Provide around 6 hours of bright sunlight, but make sure not to expose it to direct sunlight otherwise it might lose its color. 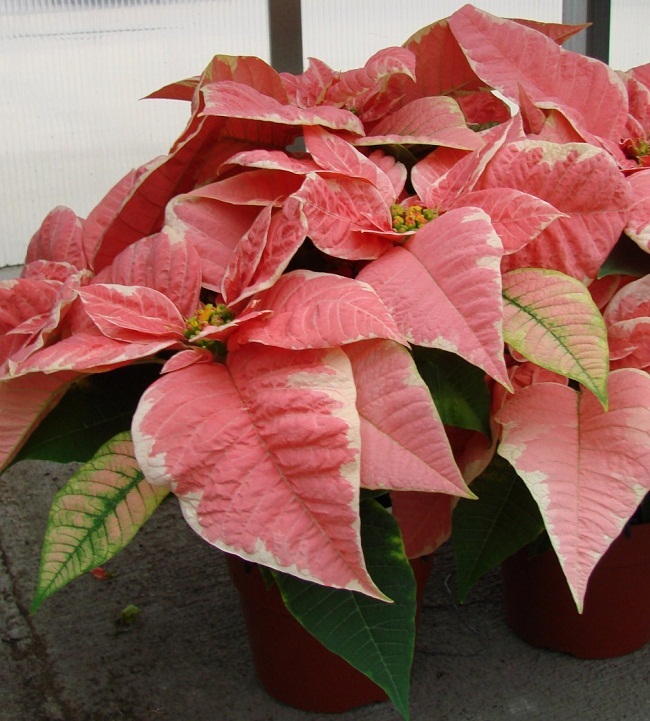 Keep the soil moist, but never let it become soggy, as the plant cannot survive in flooded conditions. Apply water at the bottom of the plant when the soil seems dry, allowing the water to drain well. 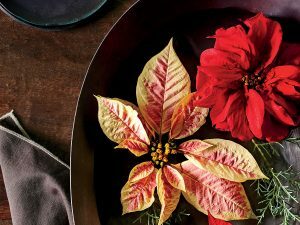 You may place a few ice cubes in the pot, so the water won’t need to drain immediately. 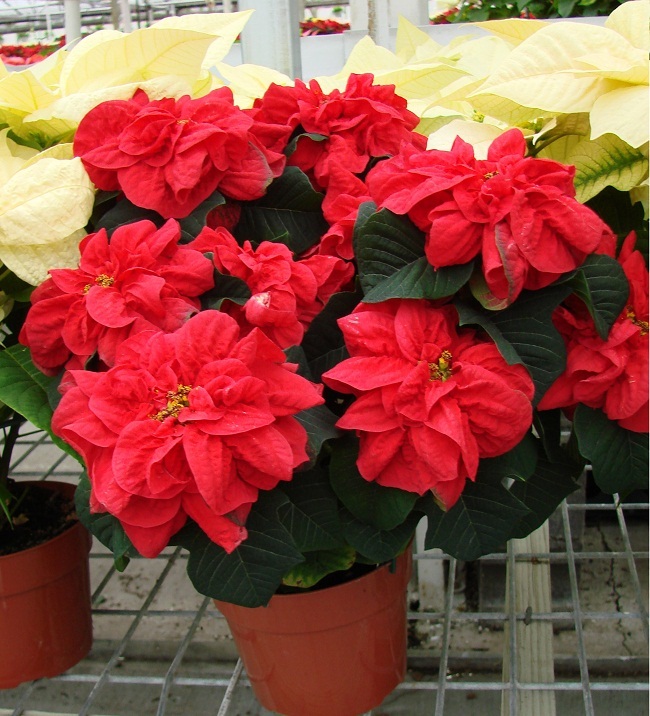 Put around 4 cubes in a 6-inch pot, increasing the number accordingly for larger containers. 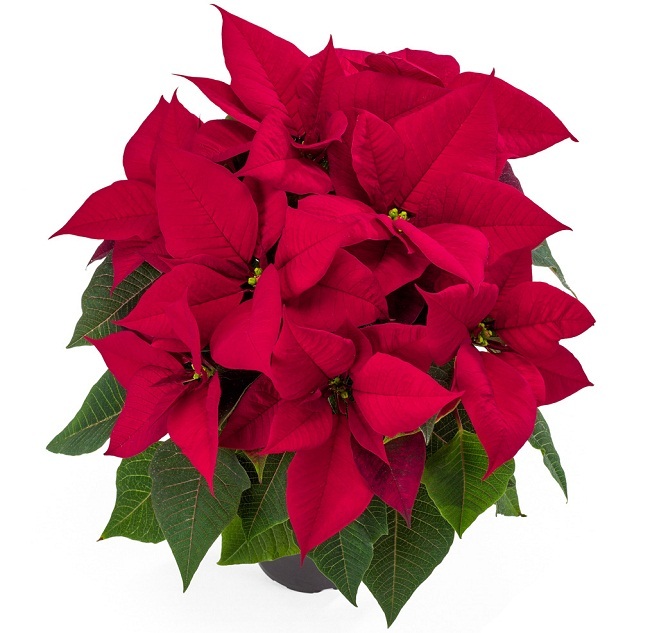 Some nurseries also offer self-watering poinsettias that come in special pots with an automatic watering system. 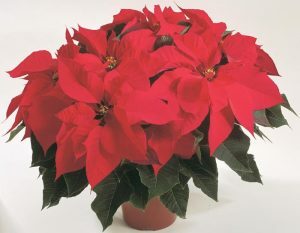 No fertilization is needed during this period. 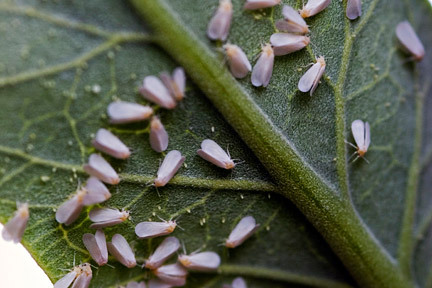 Watch out for pests like whiteflies that may infest and cause serious harm to the plant in addition to ruining your decorations. Getting rid of the infected leaves might work, but it is better to spray the plant with an insecticidal soap once every 5-6 days. 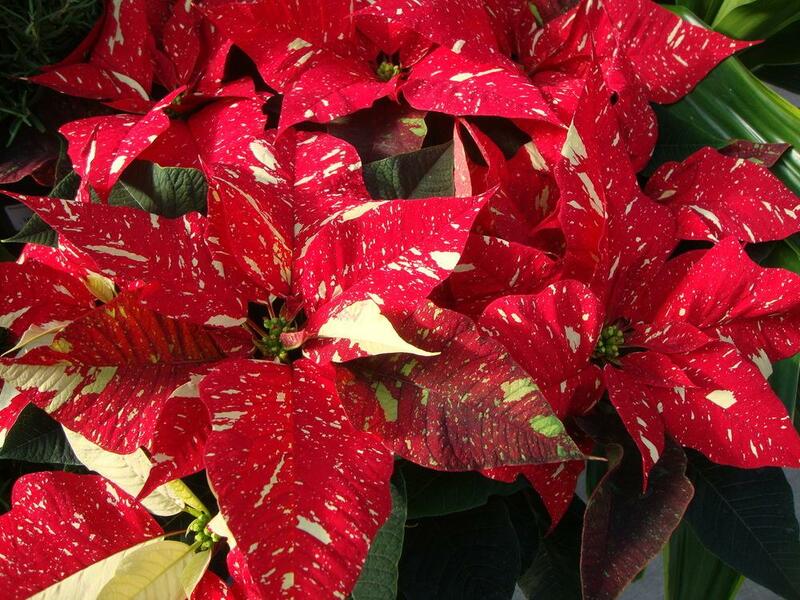 You may also try wiping the leaves with a liquid dishwashing soap. Many opt to just throw away the plant once it loses its glow following the holidays, but truth is, with a little care a poinsettia can live as a striking houseplant throughout the year. 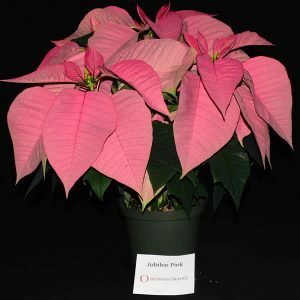 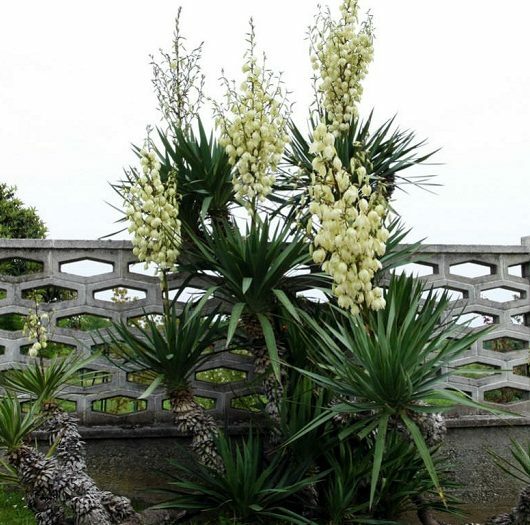 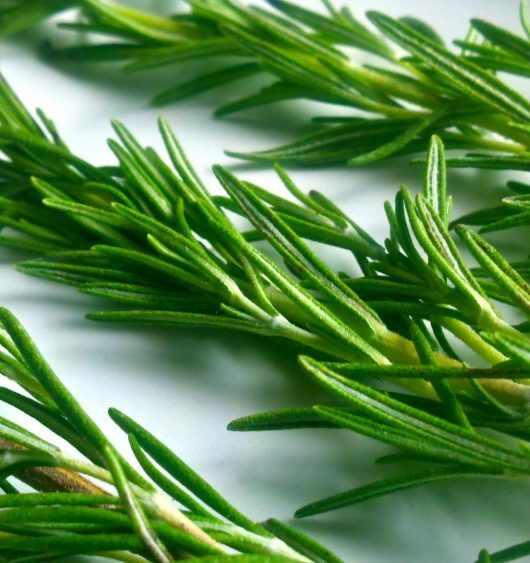 There are always newer varieties of the plant being introduced, and according to The Seattle Times, these are likely to last longer than the traditional types. 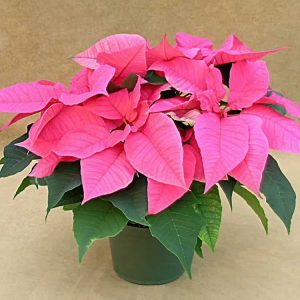 The people at the nursery where you buy the plant from can help you in this regard. 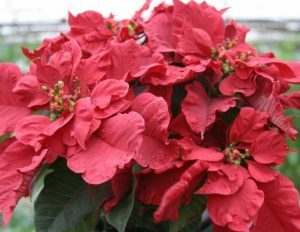 Leave it alone for a couple of months, watering just once a week, allowing the bracts and flowers to shrivel and drop off. Check the stem for any dying parts and cut them down. 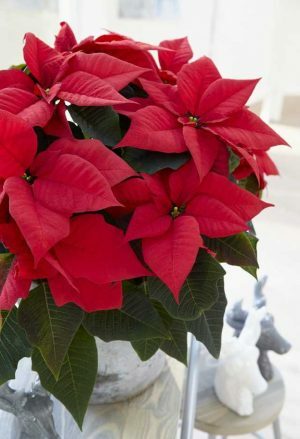 Around March-April, trim the stems by half to encourage fresh growth for a bushier appearance. 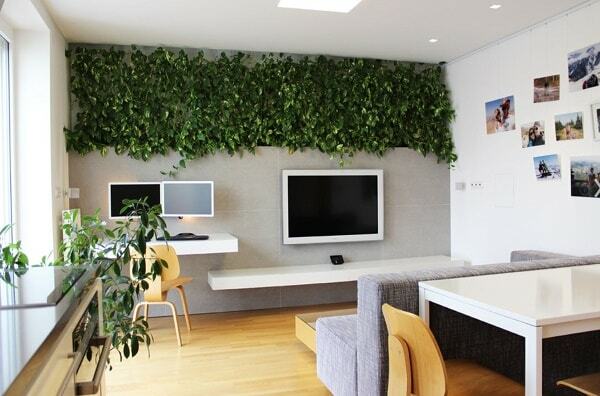 Once the new growth appears, the regular caring schedule should be resumed. 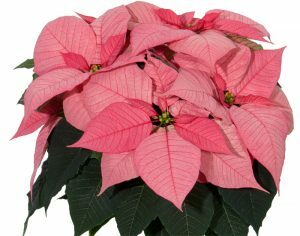 It remains the same as before the holiday week, about 6-7 hours of indirect sunlight. 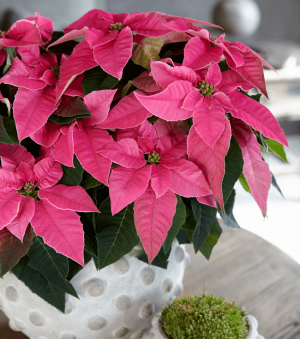 When growing indoors in a pot, keep it in a sunny, airy room with the maximum daytime temperature being around 70°F-80°F. 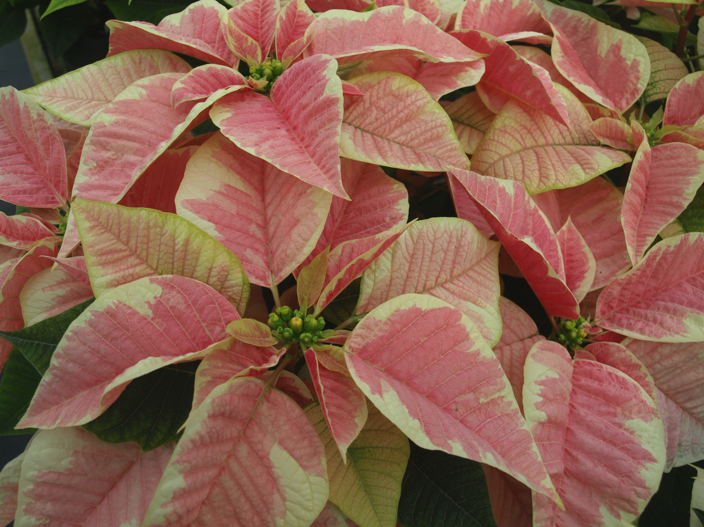 During this period, the nighttime temperature should not drop below 50°F or it may slow down the growth. 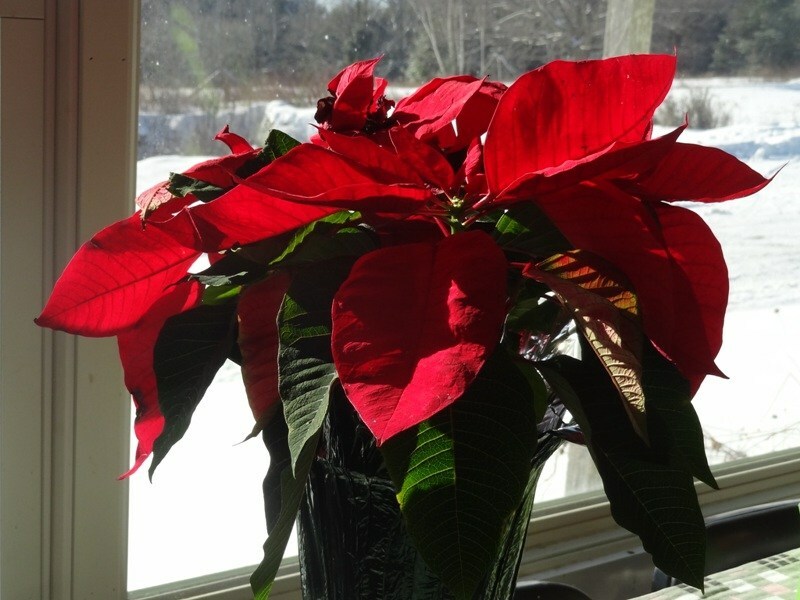 Keep it away from any cold and warm drafts from open windows, doors, or air conditioners. 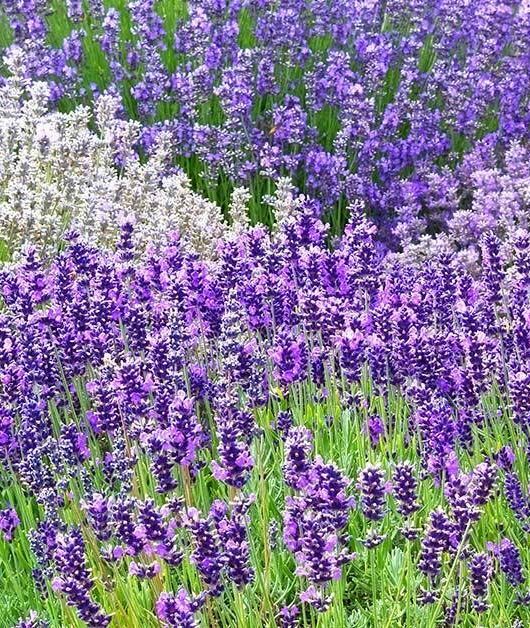 As they do not like their roots soggy or drenched, watering just enough to keep the soil from becoming dry will be enough. 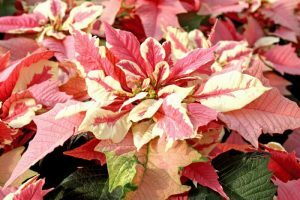 The frequency may vary depending on the season, and the region where you live, but usually the plant does well with watering once every 2-3 days. 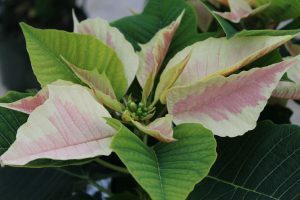 Check the leaves for any sign of yellowing or wilting, as it might suggest a problem with watering, in most cases overwatering, which can lead to root rot. 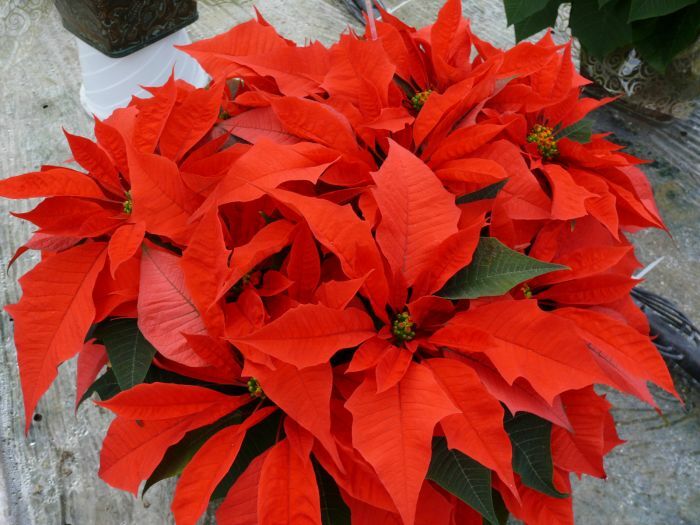 Use any high-quality all-purpose fertilizer (preferably water-soluble, though dry works too), applying once every month at full strength, or you may divide it into four weekly feeds. 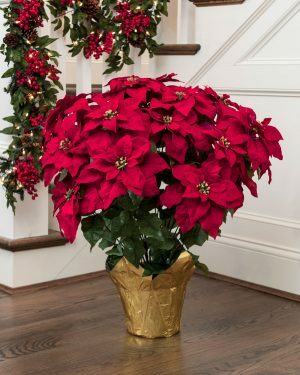 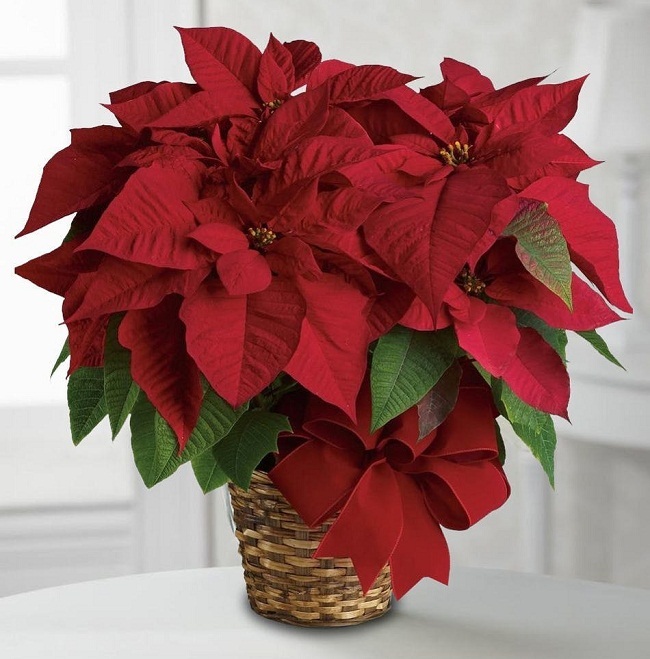 You may need to repot your poinsettia if it is growing in the same container it came in, as over the months, with proper care, it should outgrow the pot. 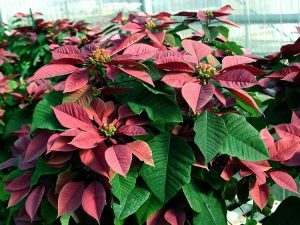 If you choose to transplant it in your garden, choose a location that gets adequate sunlight during the morning, bt is shaded from the afternoon sun. 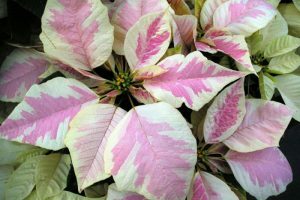 It may grow into a 10-15 feet tall shrub during summer. 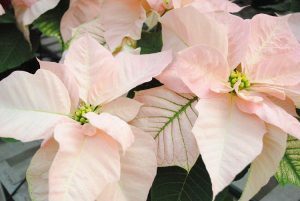 You may consider collecting the seeds or keeping the cuttings after a pruning session for starting a new plant. 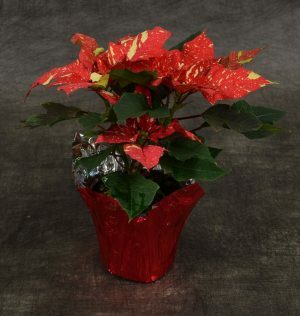 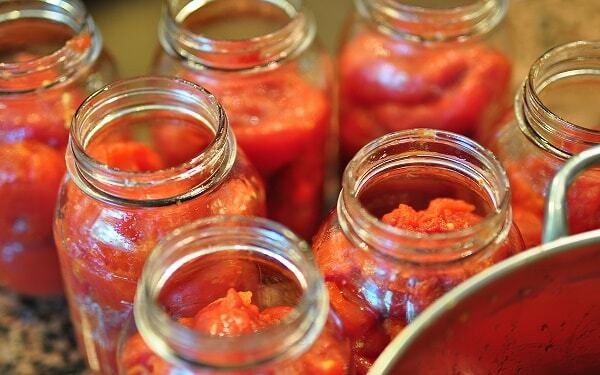 But since they are easily available in pots, most people do not want to take the trouble. Once October arrives, your poinsettia will need a strict day-night schedule to produce colorful bracts in time for Christmas. If you were growing it outdoor, then it has to be transferred into a pot to be brought indoors for this. 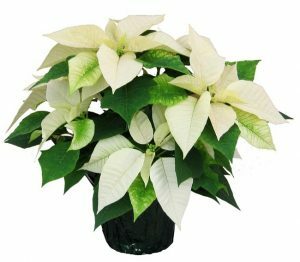 Your plant needs 12-16 hours of ‘night’ or uninterrupted darkness, along with around 8 hours of light, daily for 8-10 weeks. Place the container outside or in a sunny room during daytime, moving it to a dark room at dusk for the rest of the day. 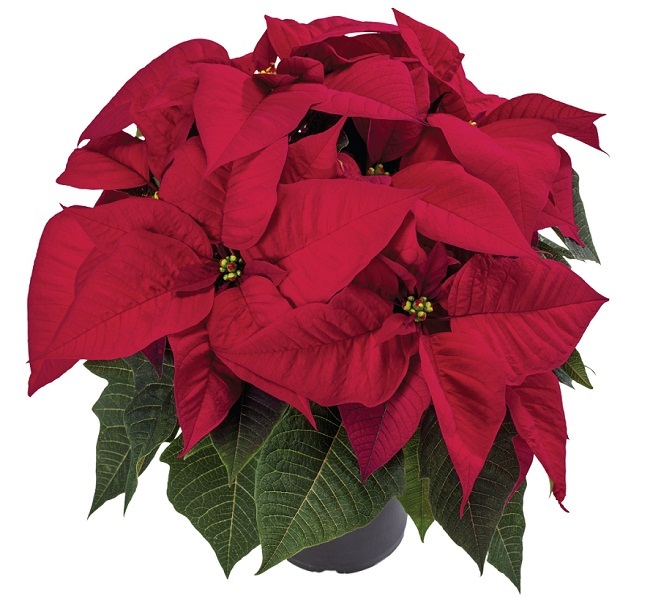 Make sure it is not exposed to any amount of light, not even any mild electric lights. Some people choose to cover the plant with a large box so it gets the darkness it needs. 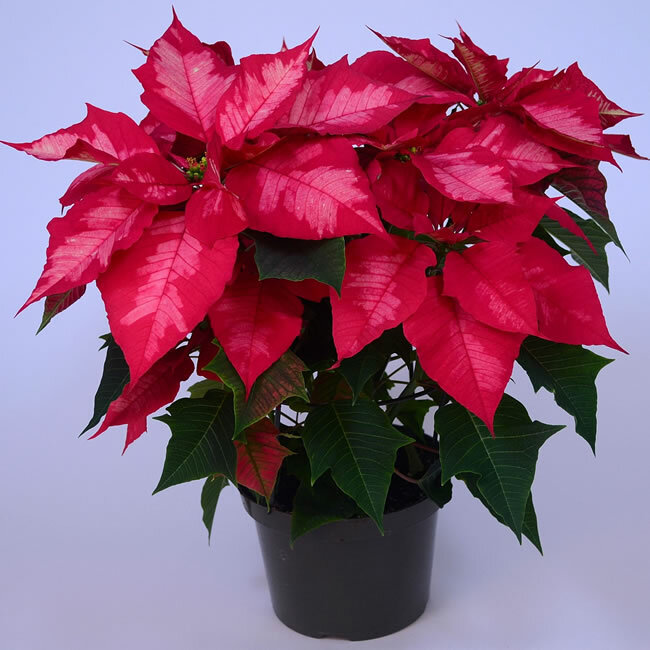 Your poinsettia may stay outside if it is planted at a spot where it can get the dark-light regime it needs, provided the nighttime temperature does not drop below 50°F. 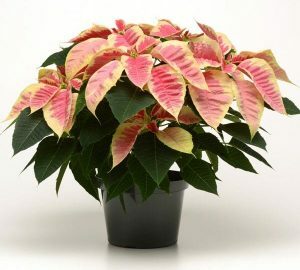 Though bringing it inside gives you a better chance of getting it to change color. 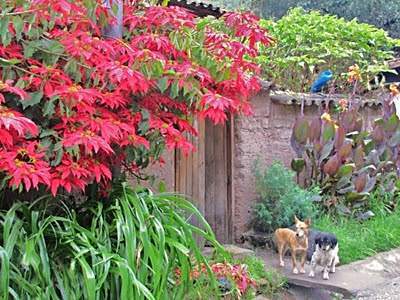 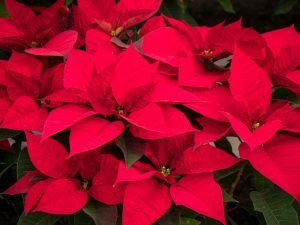 Despite belonging to a plant genus (Euphorbia) containing a number of poisonous plants, poinsettia itself is only mildly toxic to cats and dogs, and not toxic at all to humans.